We all have so much going on. A million different projects, to-do lists longer than your arm. We all worry about things – money, deadlines. With all this buzzing around in our heads it’s often a nightmare trying to concentrate on one thing. What if someone could show you how to empty your mind of all the noise? If you could be shown how to de-clutter your mind and concentrate on one important thing? Well Jamie Smart, state-of-mind specialist, can do just that – with Clarity he will show you how to get real clarity of thought. What would it mean if you could declutter your mind? When your mind is clear you can focus, solve problems and succeed. Leaders in every field, from visionary entrepreneurs to Olympic medal winners, agree that clarity is the key to outstanding success. Now get clarity to work for you. You’ll learn how to clear your mind and become less stressed and more productive – and as a result, more confident in your abilities. 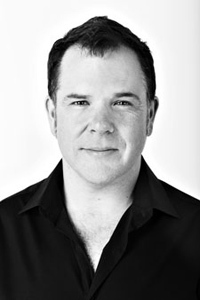 Jamie Smart is an internationally renowned writer, speaker, coach and consultant. He shows individuals and organizations the unexpected keys to clarity; the ultimate leverage point for creating more time, better decisions and meaningful results. Jamie is a gifted speaker, equally engaging in front of large audiences and more intimate groups. He's passionate about helping individuals and businesses to deepen their understanding of CLARITY® and to create the results that matter to them. In addition to working with a handful of coaching clients and leading selected corporate programmes, Jamie runs professional development workshops for business leaders, trainers, coaches and consultants. He has appeared on Sky TV and on the BBC, as well as in numerous publications. In 2003, Jamie started the company Salad, quickly growing a tribe of over 80,000 people who devoured his articles and personal development products. Salad soon became the world's leading NLP product business, and he was acknowledged by his peers as one of the world's finest trainers. 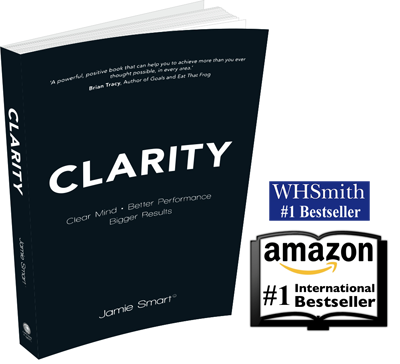 Then, in 2008, Jamie shifted his focus to a new paradigm, the principles of CLARITY®. He stopped teaching NLP and in 2012, sold Salad. Prior to starting Salad, Jamie led multi-million pound organizational change programmes and was also brought in as a troubleshooter to rescue struggling projects. His client list includes the Guardian newspaper, Sweet & Maxwell, Payzone and Dun & Bradstreet. Jamie lives in London. When he's not working, he loves travelling, walking, drinking coffee and exploring.